The park is adjacent to Harbourside and will be owned and managed by Harbourside Commercial Park. 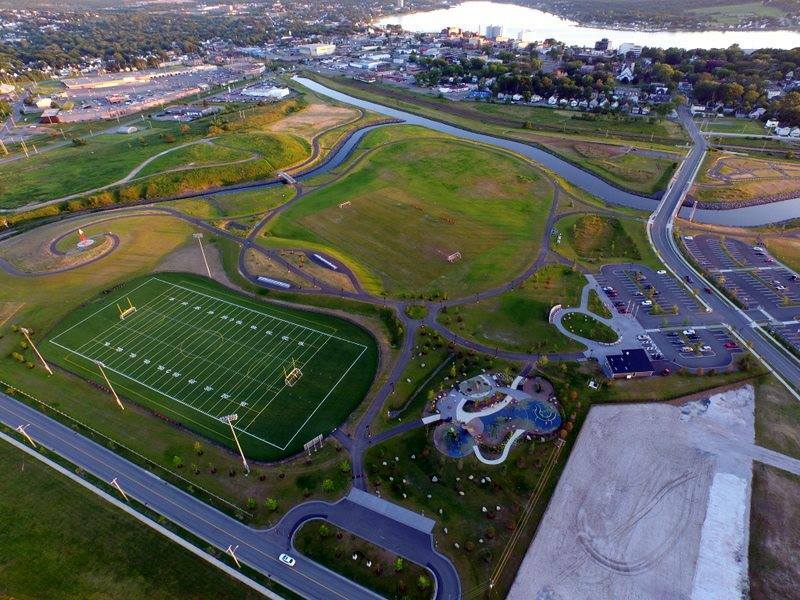 Open Hearth Park includes a multi-use sports field with synthetic turf, a commons area, an outdoor concert venue and skating area, a playground, a bike park and dog park, and a trail network with bridges connecting downtown Sydney with the communities of Whitney Pier, Ashby and the North End. The park is excellent for snow shoeing or cross-country skiing in the winter. The trails are kept clear for walkers to enjoy. Established Open Hearth Park officially opened Labour Day weekend 2013.